Are you looking to do something different with your family instead of a brunch or a visit to a museum? 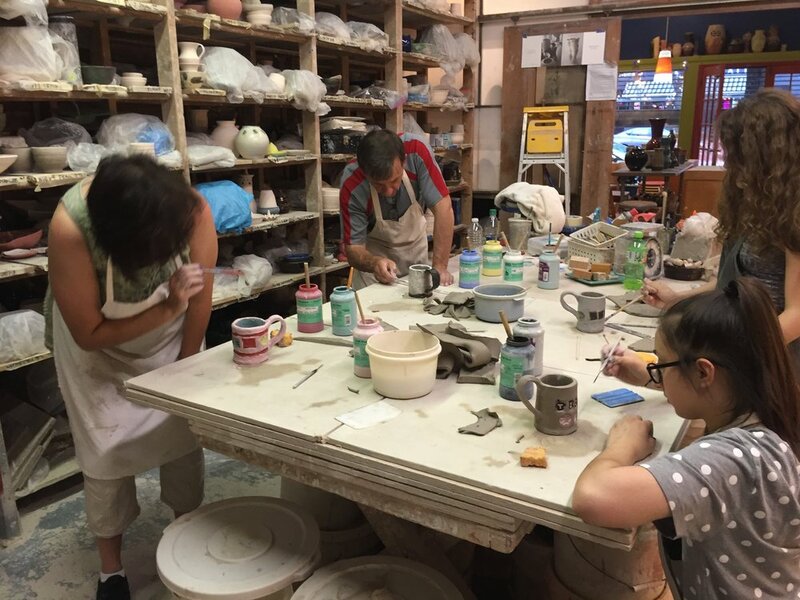 Come to a pottery studio for a fun, hands-on experience of making something unique and memorable with your family and friends. 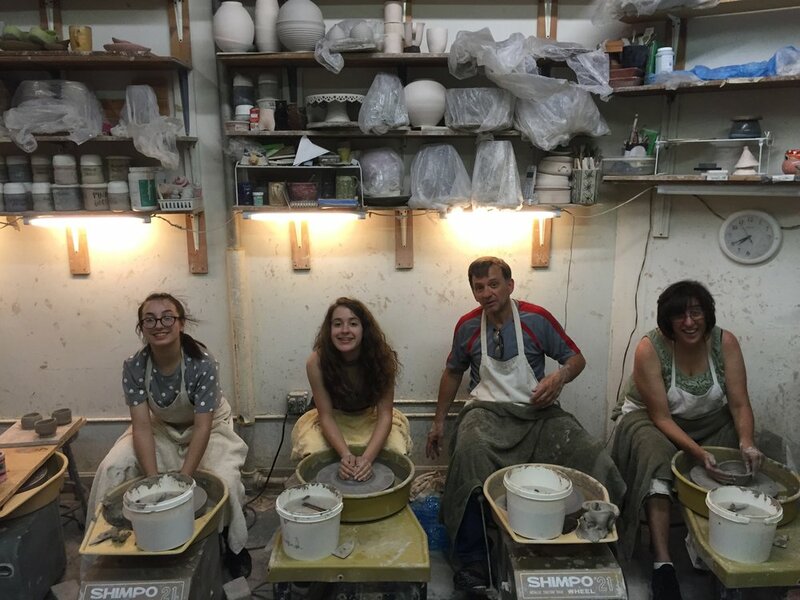 We will guide you through the process of making a real piece of pottery step by step. 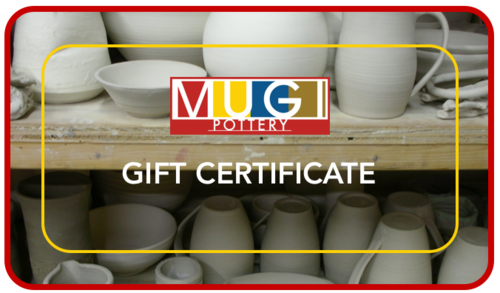 At the end of the class, you will choose a glaze that will be applied on your creation once it is ready to be fired in the kiln. 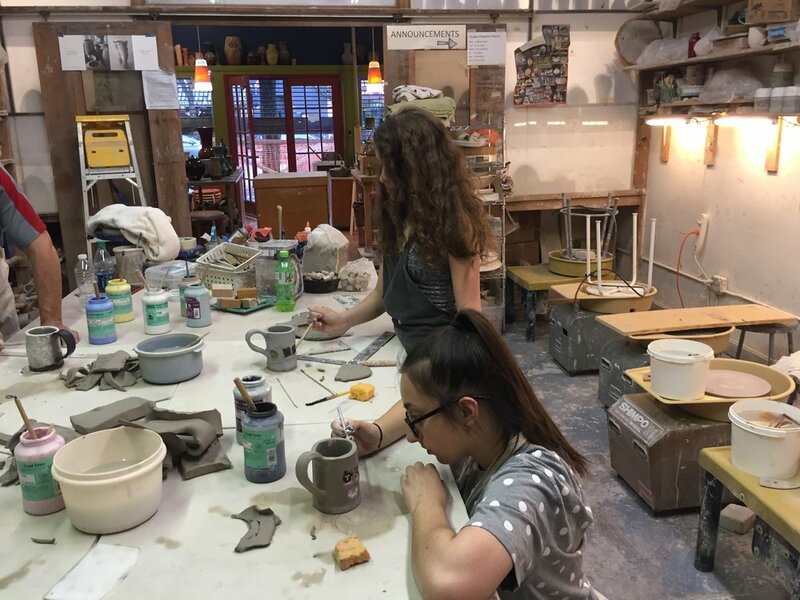 As your group will have the studio just for themselves for the two hours long class, you can customize the projects between handbuilding and/or trying your hands on the pottery wheel. This class is suitable for all ages from 3 to 99 years old and the group size is from 5 to 12 people (may be a bit larger if only handbuilding). Please note that minimum weight required to work on pottery wheel is 60 lbs. Children weighing less than that can work at the table with handbuilding techniques. CONTACT US for questions and booking dates.